As a consultant anaesthetist, Dr Tom Gale has experienced for himself the intense pressure and expectation placed upon medical professionals who work in potentially life-threatening clinical environments. Now as a researcher at Plymouth University’s Peninsula Schools of Medicine and Dentistry, he’s helped to rewrite the recruitment rule-book across the country. It’s all down to a five-year research project by the University for the Department of Health to look into flaws in the recruitment process for medical specialists. And it’s one that’s led to fundamental changes that are not only being adopted nationally and internationally but are also filtering through to other areas such as staff assessment and development. The £275,000 project was launched in 2008 and looked into the recruitment of anaesthetists and emergency medical and intensive care professionals at Health Education South West (formerly the South West Peninsula Deanery). The first stage focused upon the shortlisting process, with Tom and the research team developing a situational judgement test (SJT) alongside a machine-marked clinical problem solving test prior to interview during the 2008 recruitment round. Results confirmed that a tailored SJT for posts had acceptable reliability and correlated well with subsequent scores at interview compared with other shortlisting methods. A self-score portfolio assessment prior to interview was also piloted in the deanery in 2009 as a potential mechanism for shortlisting applicants. But the most dramatic change came with the interview stage itself, and the development of a ‘selection centre’ methodology consisting of work-related tasks to test the attributes of the candidates. What we did during the pilot was genuinely world leading in its innovation. Principle Investigator Dr Thomas Gale. It’s a method that’d been pioneered for selection purposes in industry, but had not hitherto been applied to hospital medicine. The pilot created six standardised stations including structured interviews, portfolio reviews and four work related tasks involving: a high-fidelity simulation station assessing teamwork, telephone communication, role play and a presentation. Interview candidates would be required to rotate around the stations under observation from trained assessors. Following a discussion of their career achievements to date, they might then be thrust into a dramatic recreation of an emergency, fully testing their ability to work under pressure. Based upon the results, in 2010 the Royal College of Anaesthetists and the Department of Health agreed a new standardised national model for recruitment to anaesthesia using three of the stations from the pilot. This work, of national importance, has had significant positive impact to anaesthesia recruitment and set the conditions for further improvement towards coordinated national recruitment. Scoring matrices for non-technical skills developed by Tom and research partner Martin Roberts were also introduced nationally, along with an online assessor training tool for all interviewers. The introduction of a standardised recruitment method has enabled the deaneries to ‘cluster’ together their units of application and restrict the number of interviews per candidate, thus reducing costs and wastage. The use of simulation for high stakes assessment was contentious at the outset of this project but is now increasing in popularity in contexts such as accreditation of healthcare professionals and assessment of poorly performing clinicians. In addition to generating further research opportunities for Tom, the work is also informing the University’s teaching. 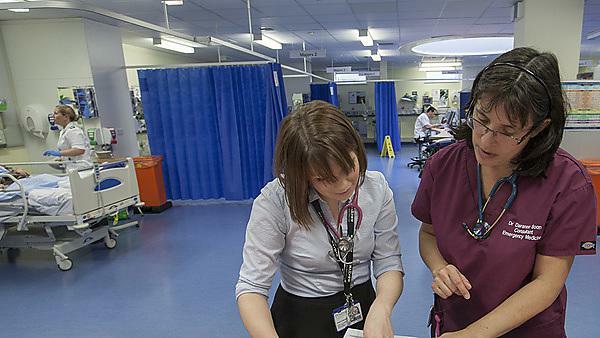 In fact, with the securing of a £156,000 grant from the Higher Education Academy, Thomas has launched TULIPS - Transforming Undergraduate Learning with Interprofessional Simulation - which uses simulation to promote interprofessional learning through quality debriefing methods. This has led to a collaboration with Professor Ruth Endacott from the Faculty of Health and Human Sciences, to put medical and nursing students through their paces together in challenging simulated encounters.